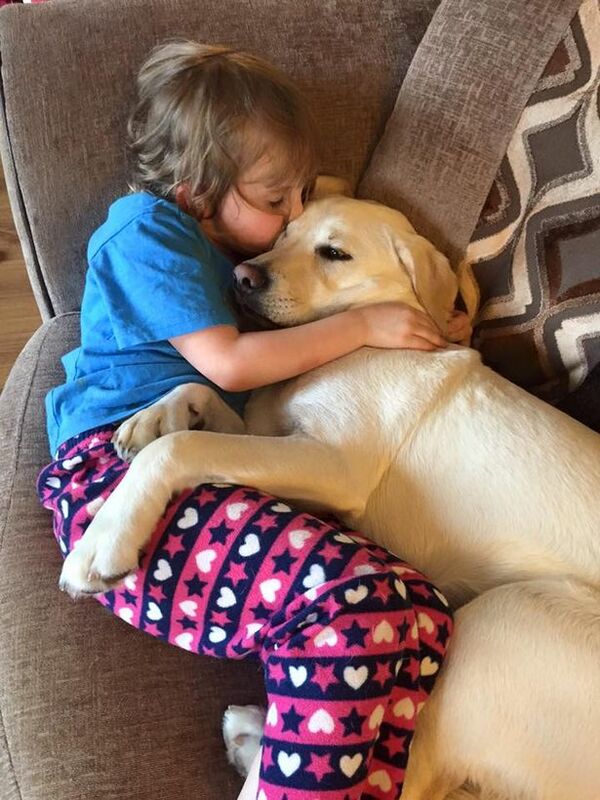 Baxter, a Golden Retriever from Glasgow used to be a regular, loveable house pet, but last month his status changed from normal dog to hero dog after he saved 6yr old Olivia Goodman from drowning. Olivia was fighting a high fever and stayed home from school to sleep off the virus. Her mom Amanda Goodman was watching over her, and while she did some house work she left the young girl asleep on the living room couch. Baxter stayed behind to keep Olivia company. A few moments later Amanda heard the dog barking non-stop, she kept telling Baxter from another room to quit his barking, but the dog just kept on barking along. It seemed Baxter had something to say and Amanda went back into the living room to see what the pet wanted. When she walked in the room Amanda found her daughter unconscious. The little girl was experiencing a seizure and because she was lying face up, her mouth filled with vomit. Olivia was drowning. Thankfully, Amanda was able to roll her daughter over and clear her airway. Goodman then rushed her daughter to a nearby hospital. Thanks to Baxter and his loyalty to his family, Olivia is alive and well today. Once Olivia was released from the hospital she returned home. Baxter assumed his position as head nurse/alert dog and never leaves Olivia’s side. Baxter, you are one amazing dog!